Opened the week with a presentation/conversation about Open Pedagogy including a matrix for brainstorming examples of course designs and where they fall on the continuum from open to closed/learner centered to teacher centered. 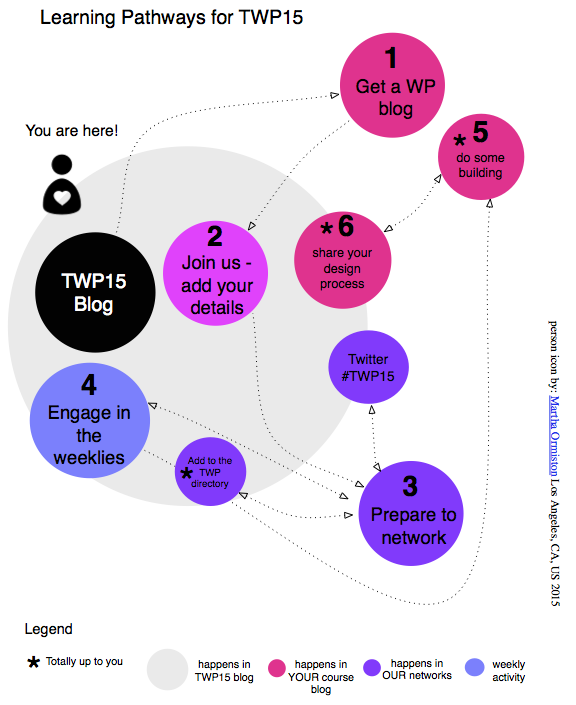 Alan built his first WP plug-in and shared the process! Viv opening the door to a conversation about ethics in the open. Please feel free to add your own summary – tag a post with twpweek1 (see all posts with this tag on our Week 1 discussions page), comment on this page (if you prefer) and (if you like) engage in a personal reflection. Let’s keep the interactions going in comments on blogs, on Twitter, and here on our site as we move into week 2 soon!